These wings are ridiculously easy to prepare. Pressure-cooking tenderizes the meat very quickly, and a dusting of cornstarch before deep-frying keeps the outside crispy. 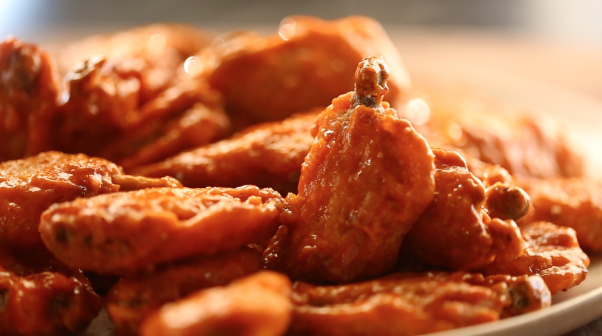 We finish ours with Frank’s RedHot Buffalo Wing Sauce, but you can use any sauce you like (teriyaki? mustard sauce? Sriracha?). Psst: If you don’t have a pressure cooker, don’t fret. Braise the chicken wings in a covered pot with a splash of water or chicken stock for about 3 hours, and then start from Step 3 of the recipe, found at chefsteps.com by clicking the button below.